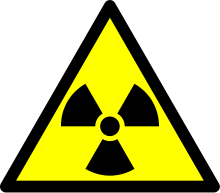 This article focuses on internal exposure to ionizing radiation, its detrimental effects on health, and what nutrition-related steps you can take to reduce exposure and absorption in the body. Few things strike fear into the hearts of men like the invisible terror of nuclear radiation. While the mention of a mushroom cloud sealed the sales pitch to invade Iraq a decade ago, today the subject of radiations whether from electromagnetic fields like cell phones, medical equipment, depleted uranium weaponry or Fukushima ( the elephant in the room ) has oddly been removed from mainstream conversation.